My Old Style days are a thing of the past — today, it’s wine and pizza. 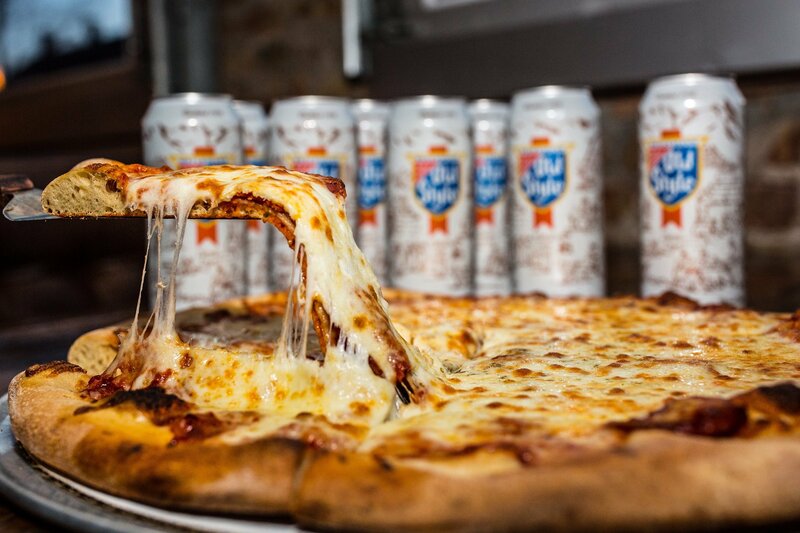 The new U.S. pizza museum – in Chicago, of course – is a wonderful idea. The only thing that seems to be missing is wine. Which we can’t have if the museum is to be taken seriously (despite the usual pizza whining from Manhattan). 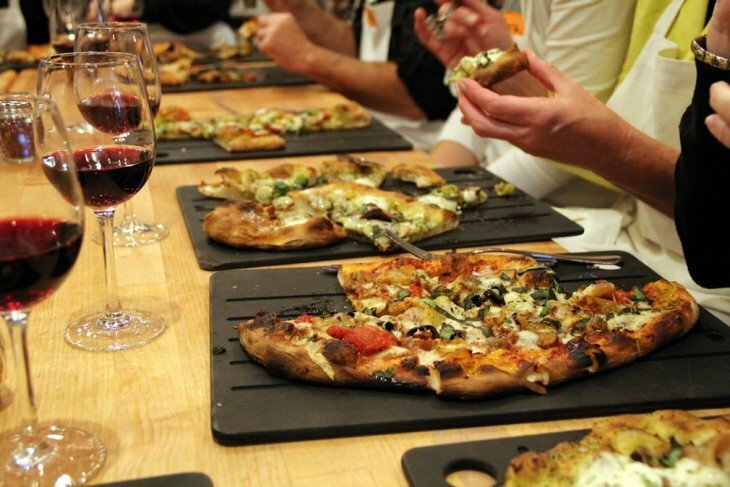 The Wine Curmudgeon knows this because, before I wrote about wine, I wrote about pizza. Those were the halcyon days of Pizza Today magazine, working for the great Bruce Allar and knowing the joy that was the annual Pizza Expo trade show. Where else could anyone get so excited about flour and yeast but at Pizza Expo in the Las Vegas convention center? I also lived pizza, growing up in Chicago and understanding the symbiosis between cheese, a proper thick crust, the correct tomato sauce, and Italian sausage. Those were the days of Dave’s Italian Kitchen, the pre-chain Giordano’s, the Silo in Lake Bluff, and cold, leftover Rosati’s pizza for breakfast. And yes, I used to drink Old Style with pizza, but I write about wine now, don’t I? • Chianti, tomato sauce, and pizza. Any of our cheap Chiantis would work, as would any sangiovese-based wine from Tuscany in Italy. The Monte Antico Toscana, a sangiovese blend, offers fresh cherry fruit and the Italian earthiness I so enjoy. • Regional pizza and regional wine. One of the things that surprises me about pizza is someone somewhere always seems to be doing something new with it (though you can probably guess how I feel about pineapple as a topping). Given the success of Drink Local, a top-quality Missouri norton like the St. James Estate Norton ($15, purchased, 13.5%), full of spice and dark black fruit, would complement even the unique St. Louis style of pizza. • Why not seafood? I first saw shrimp on pizza at Gino’s in Houma, La. ; despite my Chicago roots, it took me just 12 seconds to accept it as legitimate. In fact, seafood is a common topping in much of the U.S., like the clam pizza popular on the east coast. Seafood-friendly white wine, like the Fantini Farnese Trebbiano d’Abruzzo ($8, purchased, 12%). It’s less tart and crisp, but more spicy and chalky than ugni blanc (the French version of the trebbiano grape) as well a little citrus fruit. Imported by Empson USA.